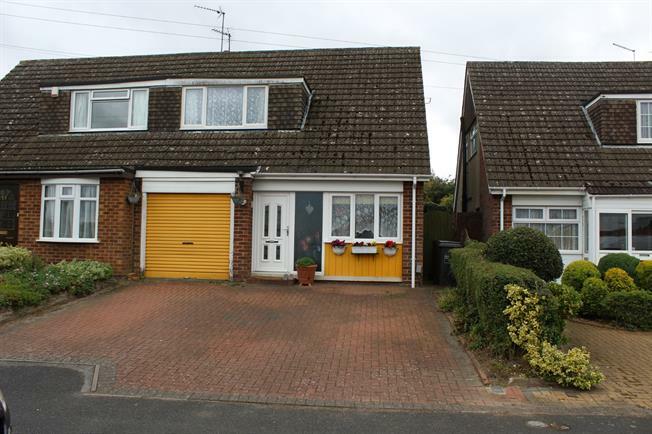 3 Bedroom Semi Detached House For Sale in Northampton for Offers Over £265,000. This Three bedroom property on Meadow Close has been tastefully extended and offer a bright entrance hall, Spacious dining room, very generous kitchen ideal for families and a large lounge with views of the garden to rear. Upstairs the property boasts two double bedrooms and a large single bedroom supported by the family bathroom. Outside there is a block paved driveway to the front and a stunning 110ft (est) garden to the rear. The rear garden is enclosed and offers a large paved seating area along with a BBQ hut ideal for social events.